How to choose the correct dyes to use. 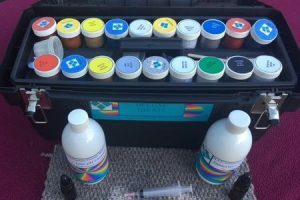 Dyes and how to treat them. Removing the source of the colour loss and reasons for colour removal. Studying the make up of colours. Making up dye baths for the dyes. How to get the colours correct. Practical hands-on of all different types of colours.